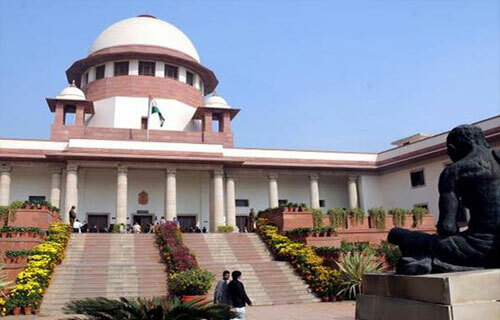 The petitioner, a public spirited person, has approached this Court under Article 32 of the Constitution of India for issue of a writ of mandamus or any other appropriate writ, order or direction commanding the respondents to take appropriate steps for inculcating in the public a proper sense for paying due respect to the National Anthem; to issue a writ, order or direction as to what is required to be done and not to be done when the National Anthem is being played or sung; to specify what will constitute disrespect and abuse of the National Anthem; and to restrain the use of the National Anthem for any commercial exploitation or to gain financial advantage in any manner. It is perceptible from the order, that the inter-Ministerial Committee has been given the responsibility to make recommendations for regulating the playing/singing/ of the National Anthem and to suggest changes in the 1971 Act or in the orders relating to the National Anthem of India. We may presently travel to the past. This Court in Bijoe Emmanuel v. State of Kerala (in paragraphs 9 and 10) has also emphasized on respect to the National Anthem. We may hasten to add that it sustained the right of the petitioner therein, but yet observed that a person who stands up respectfully when the National Anthem is sung, is showing proper respect. Thus, the stress is on respect when the National Anthem is sung or played. Hon’ble Dipak Misra, C.J.I., A.M. Khanwilkar and Dr. D.Y. Chandrachud, JJ., have held that when we consider the perspectives put forth before us pronounced in their own way, we have no shadow of doubt that one is compelled to show respect whenever and wherever the National Anthem is played. It is the elan vital of the Nation and fundamental grammar of belonging to a nation-State. However, the prescription of the place or occasion has to be made by the executive keeping in view the concept of fundamental duties provided under the Constitution and the law. (i) The Committee appointed by the Union Government shall submit its recommendations to the competent authority in terms of the Notification dated 5th December, 2017, for follow up action. (ii) The order passed on 30th November, 2016, is modified to the extent that playing of the National Anthem prior to the screening of features films in cinema halls is not mandatory, but optional or directory. (iii) Since the Committee constituted by the Union Government is looking into all aspects of the matter, it shall make its recommendations uninfluenced by the interim directions of this Court, as clarified in our order dated 23rd October, 2017. Similarly, the competent authority shall in taking its decision (s) not be constrained or influenced by any of the interim directions. (iv) Citizens or persons are bound to show respect as required under executive orders relating to the National Anthem of India and the prevailing law whenever it is played or sung on specified occasions. (v) The exemption granted to disabled persons shall remain in force till the final decision of the competent authority with regard to each occasion whenever the National Anthem is played or sung. On 30.12.2014, the appellant and the respondent with a view to end all disputes and their marriage entered into an Agreement/MOU for dissolution of their marriage with consent and agreed to make an application under section 13-B of the Act. Pursuant thereto both, the appellant and respondent, filed an application under section 13-B of the Act before the Family Court at Hyderabad on 31.12.2014 being O.P. No. 9/2015. The respondent, however, did not appear on any of these dates. The Family Judge, however, on 14.09.2015 took up the case on expiry of six months’ cooling period and finding that the respondent did not appear in the proceedings dismisses the application. Hon’ble R.K. Agarwal and A.M. Sapre, JJ., have held that having heard the learned Counsel for the appellant and on perusal of the record of the case, we are of the considered opinion to allow the appeal and while setting aside of the judgment/order of the Family Court and the High Court allow the application made by the appellant and the respondent under section 13-B of the Act and dissolve their marriage in terms of the Agreement/MOU dated 30.12.2014. This we prefer to do with the aid of our powers under Article 142 of the Constitution and also for the reasons given below. First, the parties have admittedly entered into an Agreement/MOU dated 30.12.2014 agreeing therein to get their marriage dissolved by obtaining decree from the Court. Second, the Agreement/MOU bears the signatures of the appellant and respondent. Third, respondent never denied her signature on the Agreement/MOU nor its execution and nor its contents. Fourth, both the parties pursuant to Agreement/MOU actually filed an application under section 13-B of the Act seeking dissolution of their marriage duly signed. Fifth, the respondent never stated before the Family Court during the cooling period of six months that she wants to wriggle out of the application and does not wish to give her consent for mutual divorce. Sixth, the respondent also did not appear in person before the High Court and nor filed any affidavit except to say through her lawyer. Seventh, parties have been living separately for the last four years due to which their marriage has become irretrievable and there is no point in keeping such marriage alive because when asked the appellant whether he is prepared to continue with the marriage and would like to live with the respondent, his lawyer declined. Lastly, despite service of the notice of this appeal, the respondent too has also not appeared in this Court on any of the dates of hearing and nor sent any letter/affidavit/application or written request of any kind so as to know her stand in the appeal. This shows that the respondent is also not interested in keeping the martial relations alive with the appellant. In a situation like the arising in the case, there is no reason for us to doubt the genuineness of the Agreement/MOU and its contents. Keeping in view the conduct of the respondent and further in the light of eight reasons set out above, we find this case to be fit one where we invoke our powers under Article 142 for passing a decree for dissolution of marriage between the parties in terms of the joint petition dated 30.12.2014. AVGV Ramu v. ASR Bharathi, 2018 (182) AIC 69 SC.